15 Ltr EASYFIT Demountable through floor brackets - GAS IT Leisure Gas Bottles, Gas Cylincers and Gas Tanks - Catering, Motorhome, Campervan, Caravan, Farrier and Road Repair Refillable Gas Solutions. With a 15 Ltr GAS IT EASYFIT gas tank you can simply bolt the tank to the vehicle using 4 x M10 bolts and washers and that's it to fully comply with all legislation and safety requirements but unless you can gain access to those 4 bolts again in the future and they are not under wooden floors then you won't be able to remove the tank should you need to send the vehicle to a body shop or the tank gets damaged. Our GAS IT Demountable Mounting System for our EASYFIT 15 Ltr Gas Tanks are perfect for mounting the GAS IT EASYFIT vapour tanks with feet but allow the tanks to be fitted and in the future removed by a single person anytime without needing access to the inside of the vehicle to remove the EASYFIT tanks. 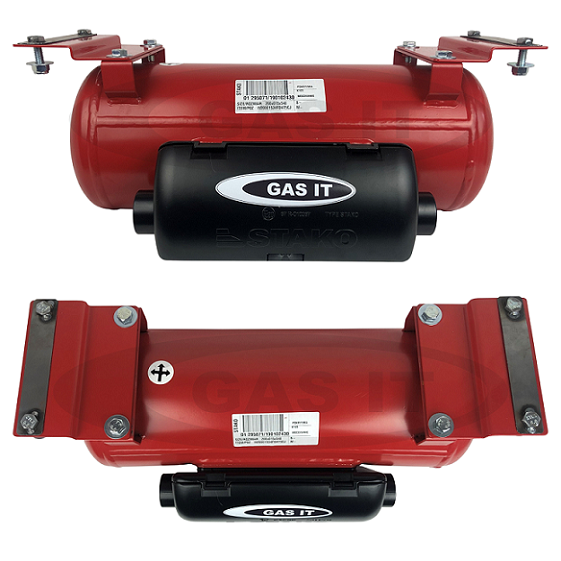 GAS IT's Feeted tank Mounting Systems as used by many OEM's in the UK as its fully compliant to BS EN 12979 & ECE R67.01 - which is legally needed when fitting a R67 LPG tank to a road going vehicle. Each of our GAS IT Demountable Mounting Systems are made up of a 2 part system. The internal part consist of a engineered spacer bar fitted with 2 x 35mm M10 bolts, which is fitted internally so the 35mm bolts poke through the vehicles floor before the floor insulation is fitted, or if the floor is already in place, you could use them under beds, in cupboard's or any place they can be hidden when fitted. The 2nd part of our mounting system is fitted directly on our feeted tanks via M10 bolts and washer, and then fitment is simply a case of lifting the GAS IT tank up with the 2nd part fitted, upto the 35mm bolts and reuniting them. 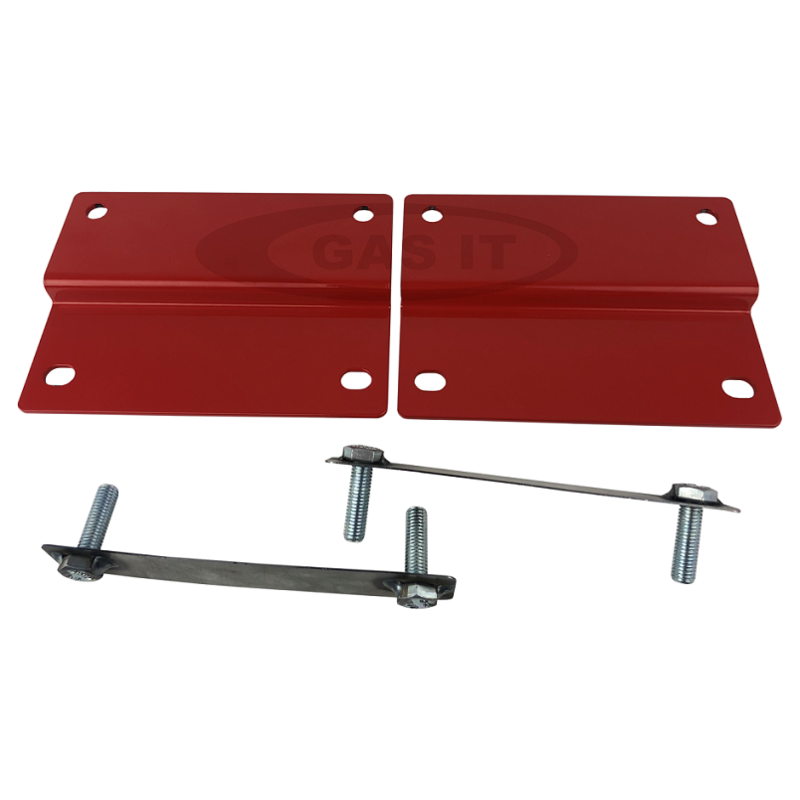 This OEM specification GAS IT mounting system allows the GAS IT tank with directly Factory fitted feet, to be mounted quickly, easily and more securely than any other system available and it also allows the LPG tank to be removed in the future ( for vehicle painting and so forth) without disturbing anything inside the Vehicle like false floors, insulated flooring, carpeting and so on. 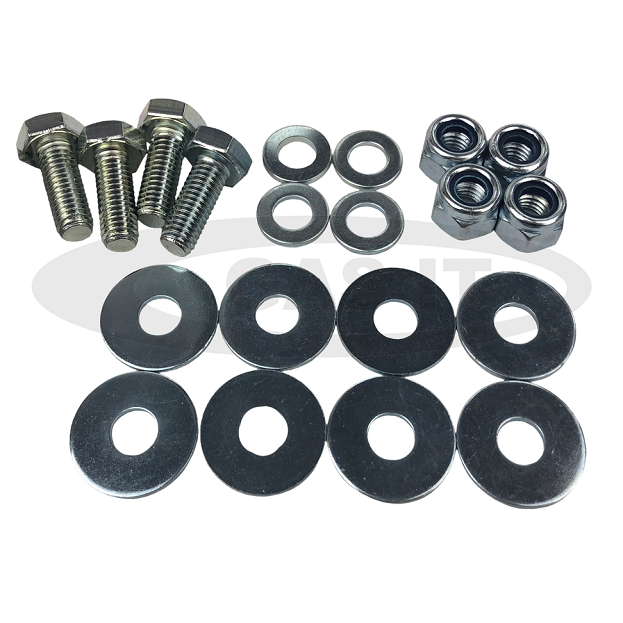 This kit includes all the relevant parts ( M10 nuts, M10 bolts, M10 washers) for fitting a GAS IT 15 Ltr Vapour tank under a vehicle - The external bracket parts come in a full Industrial powder coating, which exceed 1000 hrs. salt spray testing. We also sell separately on the GAS IT webshop,a 100mm extension plate which allows the new Mounting bracket to be moved 100mm either side ( left or right ) of the tank feet, should any existing fittings through the floor be in the way. These brackets will only work with the GAS IT EASYFIT 15 Ltr vapour tanks and they will not work,with any other EASYFIT tanks, as they required brackets listed specifically for them on our webshop.